This is one of my all-time favourite alkaline recipes! 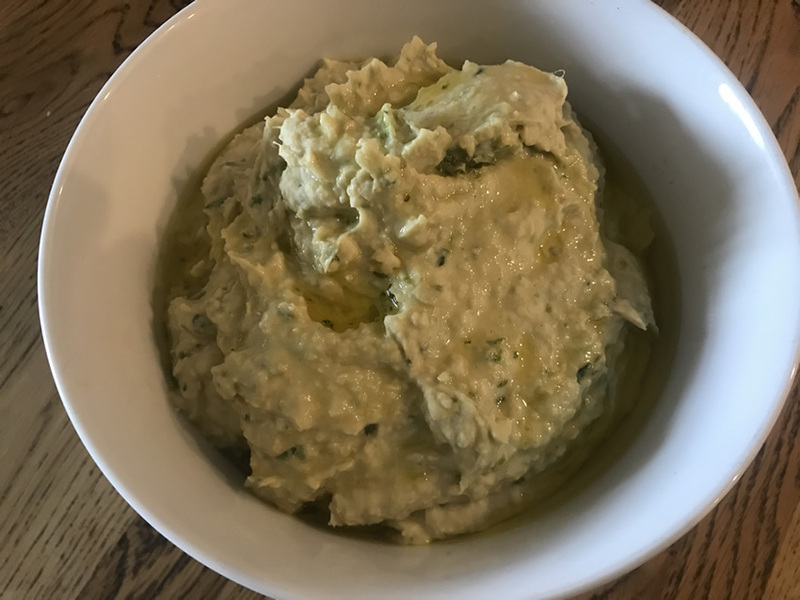 It is SO delicious, and the cannelini beans used alongside the chickpeas makes this so, so creamy (and adds an extra protein hit). It’s so simple, quick and easy to make, and it makes a big bowl that will last you all week. It keeps brilliantly in the fridge, especially if you drizzle with a good glug of olive oil each time you put it back in fridge. You can use as much or as little cilantro as you like, and an optional extra could be some lovely fresh chilli too (personally my favourite, doesn’t go down too well with my kids!). When you’re wanting to get alkaline, having access to alkaline snacks like this is a lifesaver. It’s often when we’re hungry, in a rush and the blood sugar is low that we slip up and reach for something unhealthy. With this recipe in the fridge all week long, you can always just grab some gluten free crackers or GF bread and put the snack-attack to bed (or even make my alkaline celery boats with this instead of almond butter). Simply throw all of the ingredients together into a blender or food processor and process until completely smooth. Remove from the blender and into a bowl and cover with olive oil and season to taste. This is absolutely delicious with my Chia Seed Energy Crackers! 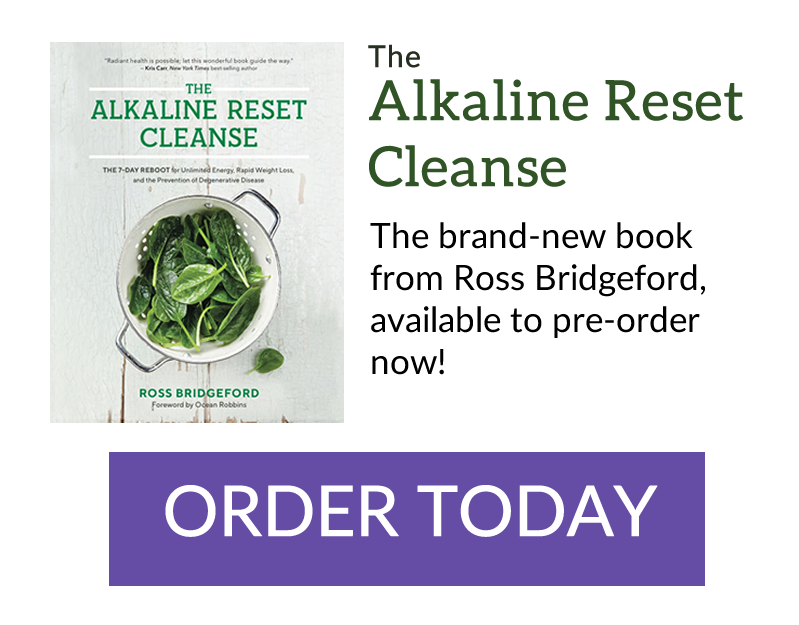 The Alkaline Recipe Centre Homepage – hundreds of alkaline recipes here. There are over 200+ delicious, free alkaline recipes available here on my site – check out my Alkaline Recipe Centre to discover new recipes every week! Hi Ross, I prepare my hummus with toasted sesame seeds instead of tahini because I think it just tastes better. Do you ever toast your sesame seeds before you make the tahini? Pretty new in the game but so far I really like every recipe i have tried. Very good job Ross. Making me feel so much better. Thanks! Consuming garlig regularly as food CAN ruine your health And cause letargy in your body, also it is better do not consume tined products as they old and contain preservative and salt. Shaun – do you have any research or literature to back up the claims you’re making about garlic? Tinned food – I agree fresh is best, but I’d rather people can stick to it 90% than go for 100% perfect and fail. I tried to sign up for the alkaline charts but didn’t re dive the email? Made this hummus tonight with the chia seed crackers. A win and so easy. Thanks for the recipe. This looks DELICIOUS and simple ! Thanks Ross for these lovely recipes.